Here at GigMasters, our top priority is to get you booked for live events. We want to make sure that you are familiar with how the system works, and that you make the most of your membership. Here are the most important things that will help you succeed on the site. Just remember "G.I.G.M.A.S.T.E.R.S." Gigs will get you more gigs. The more bookings that you confirm through GigMasters, the more leads we will send your way. It’s that simple. Invest in your success. Make sure all bookings are confirmed through the system (if a client finds you through GigMasters and hires you, you are required to confirm the booking). This way you’ll get credit for GigMasters booking dollars and rank higher. Plus clients can leave you feedback after the gig (profiles with reviews get more leads) and they'll get the benefit of the GigMasters Guarantee. Get credit for non-GigMasters bookings. Even if you didn’t get your booking from GigMasters you can still get credit toward booking dollars to help propel your rankings in search. And you can accept client reviews for these as well. Click "Add Gig" on your Gig Calendar here. Make a good first impression. Use the highly-customizable GigMasters platform to display photos, videos, and samples (if applicable) of your business to put your best foot forward and entice clients to book! Always respond quickly. Our data shows that fast responders are more likely to get booked (and the more you book the more leads we'll send you) so time is of the essence. Enable Text Message Leads, download our Leads by GigMasters app. Anything to get your response in quicker! Start to get GigMasters bookings from your own website. Did you know that you can embed your own personal Request Free Quote form on your website? This way you can accept gig requests without other vendors being auto added to these requests! Plus, when you confirm these gigs, you'll rank higher on the site. There’s a way to opt out of event types and dates. Don't do kids parties or funerals? You can opt out here from specific event types. You can also blackout dates on your calendar to make sure we only send you leads for dates that you’re available for here. Enable Online Payments to give your clients the GigMasters Guarantee. If you want to ensure your client has the best experience possible booking you, make sure you enable Online Payments. 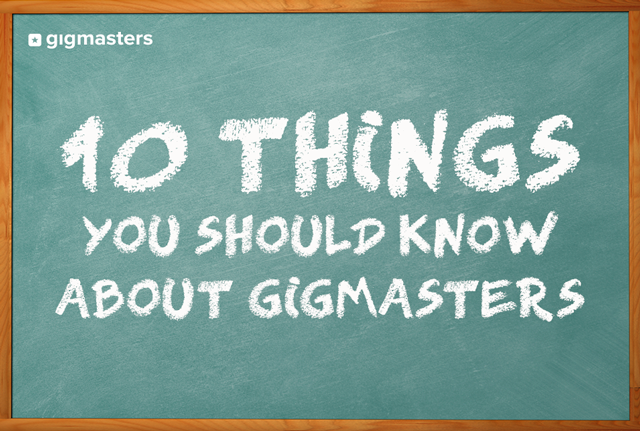 If your client doesn’t pay through GigMasters and there’s a problem, we can’t help them. Make it easier for them to book you fast and securely! Radius can be changed. If you are getting leads from too far away (for not enough pay) you can reduce your travel radius. There’s no limit to how often you can change it, so experiment with different mileage until you get it just the way you like it. Save your responses. You can set up Saved Responses ahead of time with different quotes for different leads. That way you a can respond to leads super fast! Keep this post in your back pocket and, as always, you can contact our friendly Account Services team if you have any questions or issues concerning your GigMasters account.